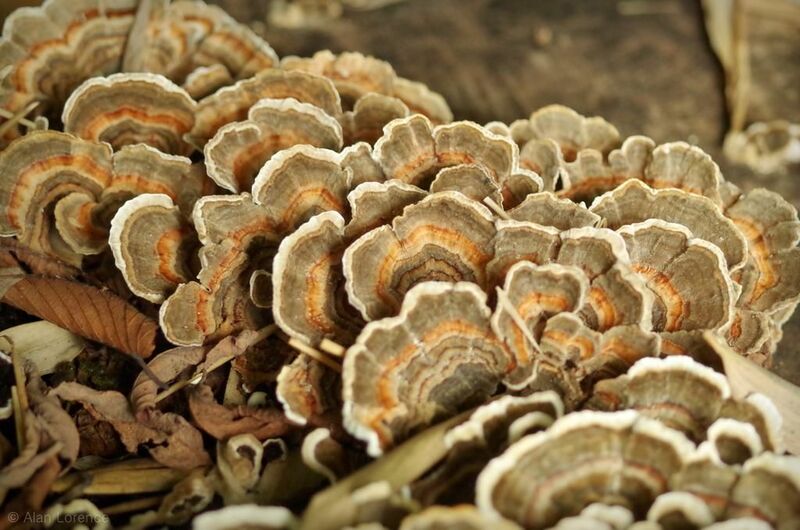 It's been a while since I've photographed any fungus, one of my favorite outdoor subjects. The other day though I noticed that some of the log sections on the driveway have moved from firewood candidate status into future compost and soil contributors. 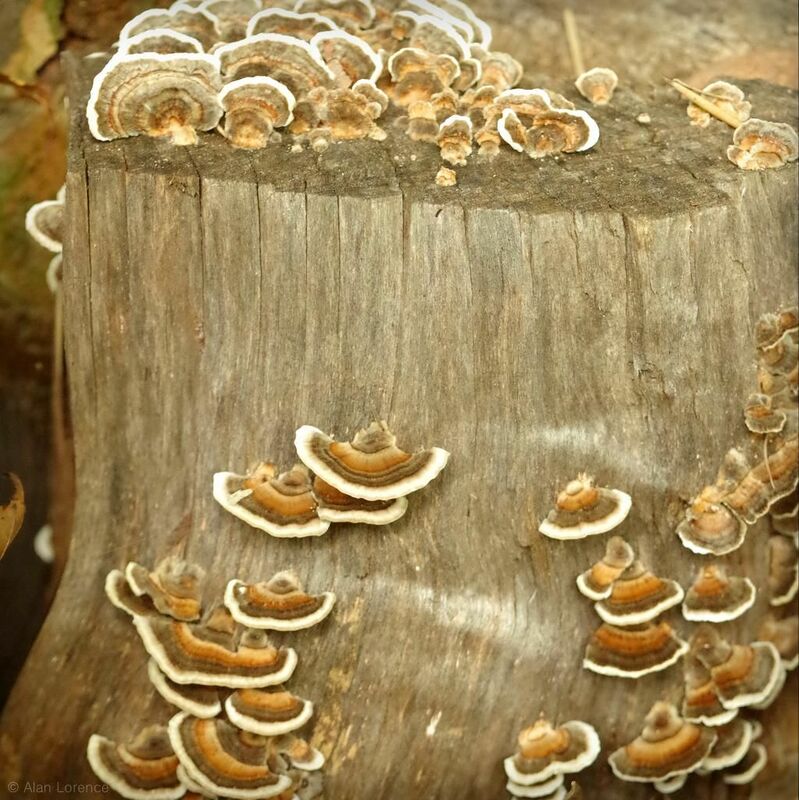 Some beautiful shelf fungus, most probably Trametes versicolor, was covering at least one of the logs. The drooping bamboo overhead must have made conditions just right! Not quite as colorful as the ones that Gerhard saw at the Ruth Bancroft Garden, but still nice. I love the photo with the leaf hanging in space. I think a spider web was making it "float" there. You certainly captured some beauties. I wonder if the color variation comes from environmental conditions. 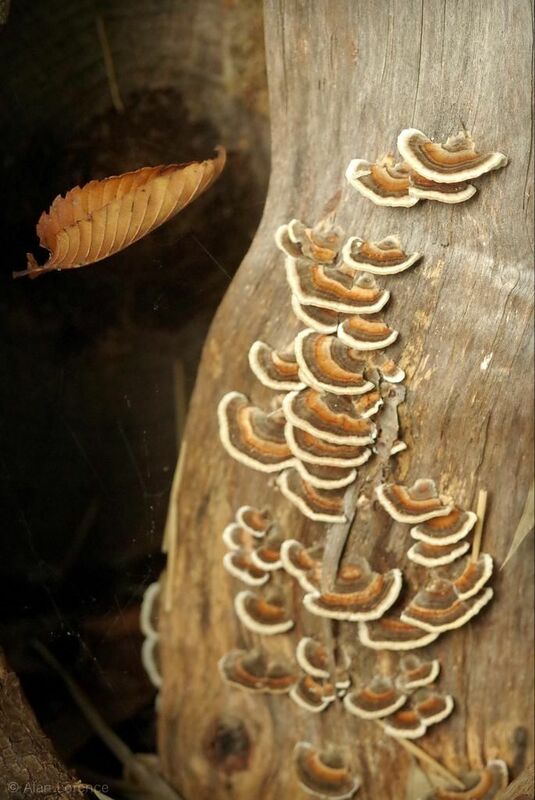 So cool: they look like a colony of butterflies! Fantastic shoots..I love the colors. 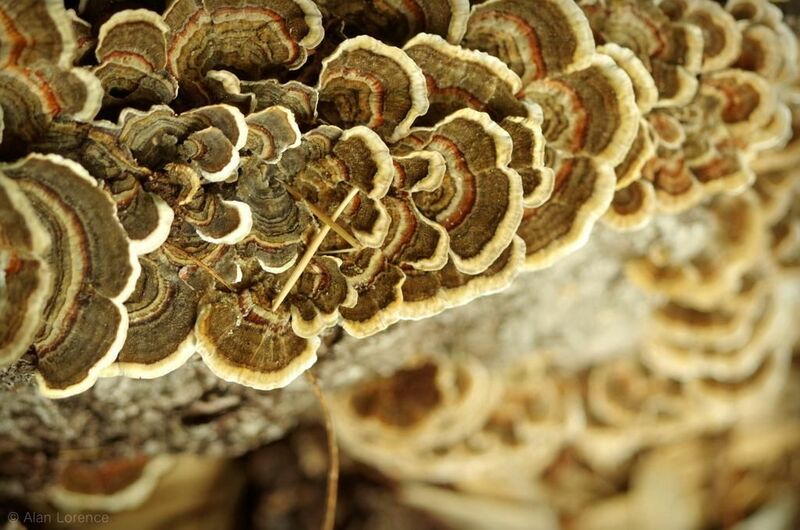 Have you read the book Lab Girl by Hope Jahren? I think you would like it...she is a excellent, humorous writer and brilliant plant scientist! 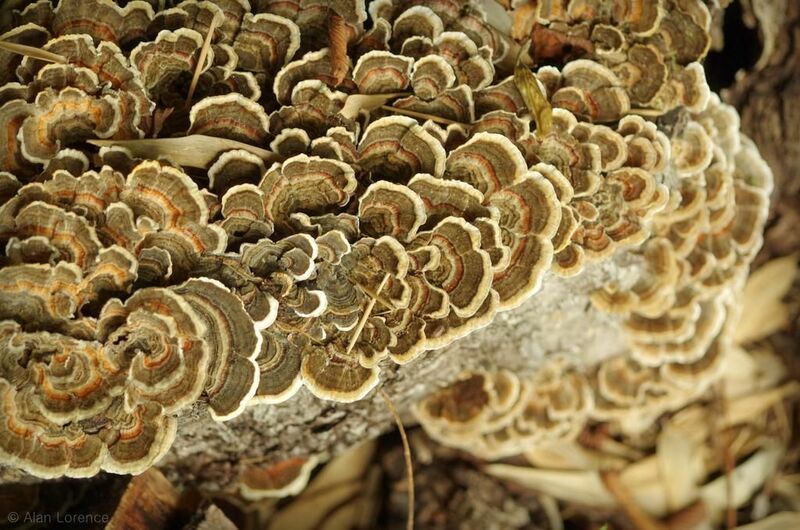 Beautiful captures of the fungus. Funny what we see by others may be seen as blah but you bring intrigue , art and eye opening nature to life. Nice job. Yours is much more typical of the species, based on the photos I found online. 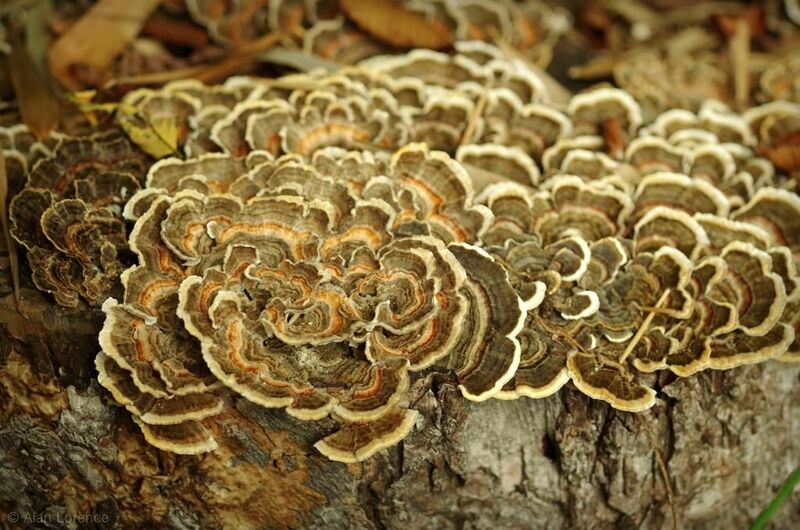 Still, what a beautiful fungus.